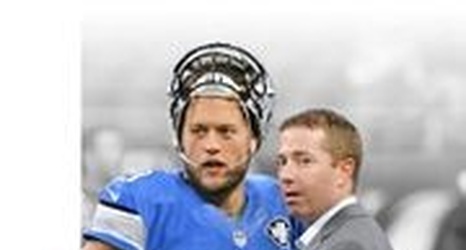 Detroit — Both general manager Bob Quinn and coach Matt Patricia have thrown a vote of confidence behind Matthew Stafford this offseason as the Detroit Lions quarterback going forward, but during a season ticket holder summit at Ford Field on Monday night, Quinn wouldn't rule out drafting a quarterback in the first round. "Yeah, we'll consider any position in the draft, at any point in time, whether it's the eighth overall pick or (when) we have multiple picks later in the draft," Quinn said, answering a question from a fan. "We're in a position now, with the eighth overall pick, that the whole draft board is really wide open to us.